Hello March! Are you excited for some warmer weather this weekend? It's starting to finally feel like Spring is around the corner! You know what Spring brings - Easter, flowers, Mother's Day, graduations, and hopefully some rain! It's always like Christmas when the UPS man comes in. 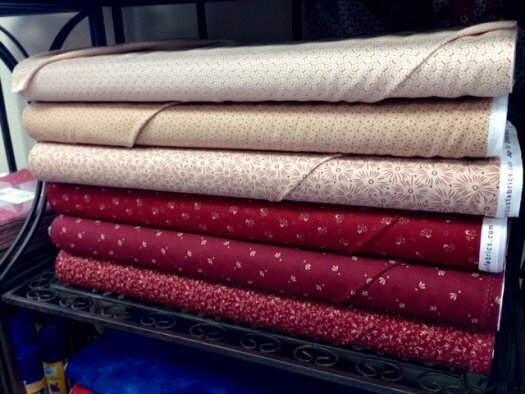 This week he brought us a beautiful NEW line from Marcus Fabrics called Gathering In Red. 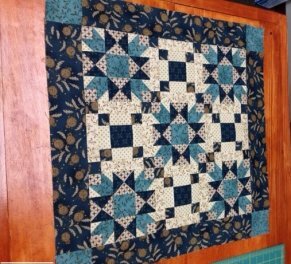 This fabric is gorgeous and will sew up some beautiful Americana quilts and wall hangings. We've already got a couple in mind! It's not too early to start on those Mother's Day and Graduation gifts! 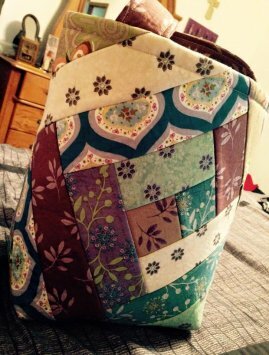 We have a large selection of fabrics, patterns, and kits to choose from. There are many Spring woolie kits too! 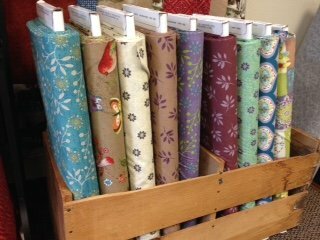 We did do some rearranging this week to make room for the new fabrics we have received! So if you haven't been in recently, be sure to stop by. We always love seeing and visiting with you! Woolie Saturday is this weekend. Lunch will be $7, with the choice of an Apple Planter or a Chicken Ranch Pita Wrap. Chips and drinks will also be served. You may also choose to bring in your own lunch if you would like. Let us know if you plan on attending and would like lunch! BOM's for February and March are ready! All of the blocks have started and there is still room to join us! The new Country Register is here...pick yours up today and check out our ad! I think I heard the UPS guy is coming today! Have a great weekend! Be sure to watch for our newsletter next week! Check us out on Facebook!